Wyatt Crockett had to be patient for his first chance to pull on an All Black jersey, his debut coming against Italy in Christchurch in June 2009, aged 26. 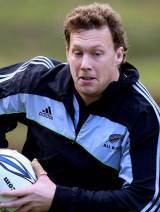 Already a regular with Canterbury and the Crusaders, Crockett overcame fears that he was too tall (at 6'4'') for international rugby after a strong showing during the 2009 Super 14. Following his debut he was included in the All Black squad for the Tri-Nations, but missed out on selection for the opener against Australia and was subsequently left at home as the All Blacks travelled to South Africa due to SANZAR squad size regulations. After two years out of the picture, Crockett returned to the All Blacks side in the summer of 2011, playing against Fiji as well as South Africa and Australia in the Tri-Nations. But he failed to make the team for the 2011 Rugby World Cup.